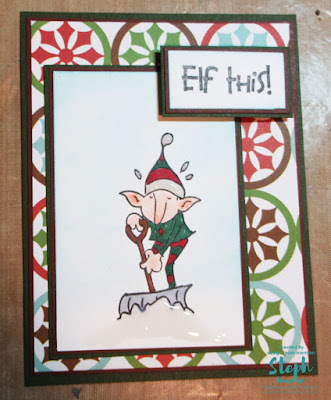 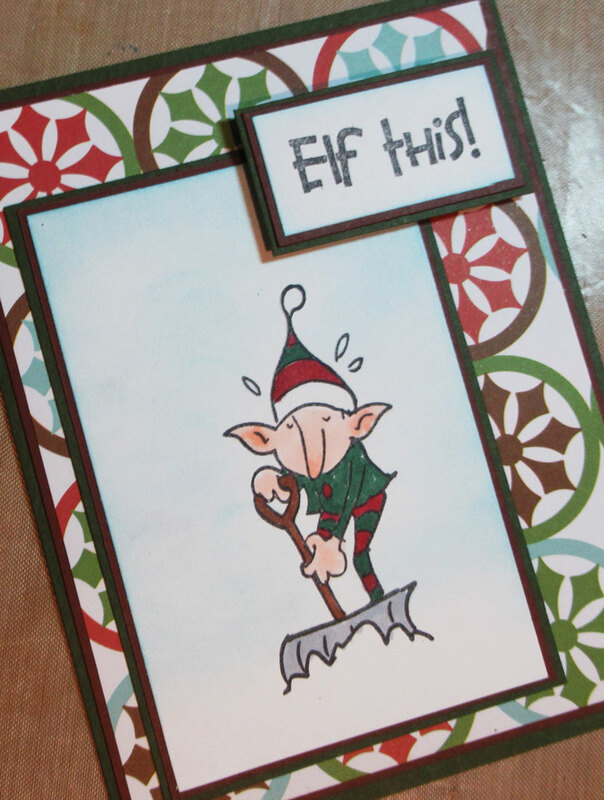 Love this new stamp set - Elf This. 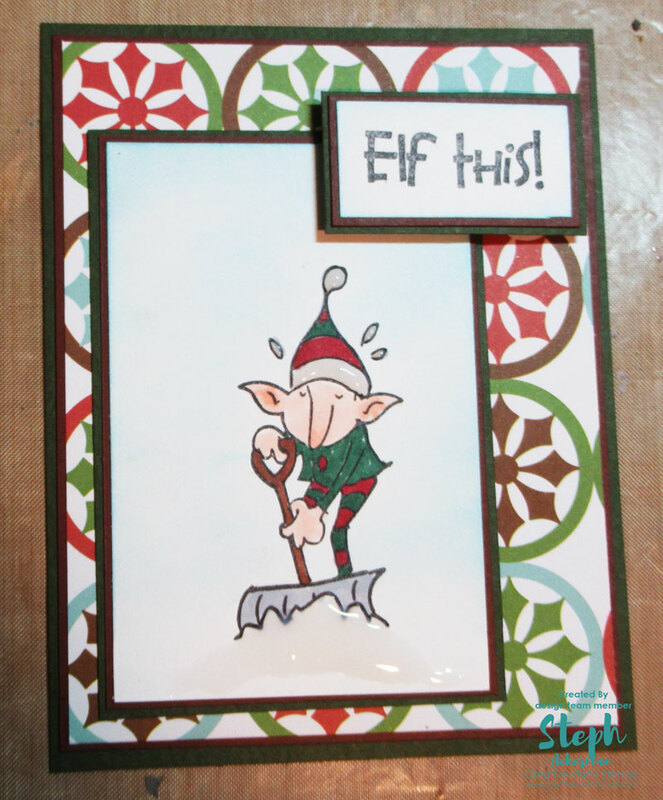 I stamped the elf on white cardstock then colored him with Copic Markers. Using an art dauber, I added some blue ink around the image.